I should have stopped using this image when, right out of the box, I couldn't even create users in Wordpress. I persisted though and was unable to upload a theme and also could not activate the WP Mail SMTP plugin. I restarted with the non Multisite Bitnami AMI and this all worked just fine. I have set up maybe 100 Apache websites by hand, untold lines of PHP, etc. I followed the directions and all I get is 404, regardless of my troubleshooting efforts. Is this AMI really the problem? Note: This review exceeds the suggested 300 word limit by ~130 words. If that bothers you, skip the explanation, the first paragraph and conclusion found at the end summarize the problem. I don't accept the reviews claiming this does not work. I think blaming the AMI misses the point. Blame, if any, should be directed at code developed by 3rd parties not Bitnami or WordPress. I tried this AMI in a staging environment and quickly reverted back to my saved version of a previous Bitnami AMI running PHP 5.6, I don't believe the AMI is at fault. I gave it 3 stars because I wish Bitnami offered another WP multi-site AMI with PHP 5.6. On the other hand, enabling people to continue avoiding PHP 7, especially with a WP site, isn't necessarily good practice. A better solution would be to downgrade to PHP 5.6 yourself after installing the AMI. I suspect for many people that might prove too difficult and defeat the purpose of using a readymade AMI solution. If anyone has experience where a site works with PHP 7 in another environment but doesn't work with this AMI, I would very much like to hear about it. I would skip Bitnami altogether and install a stack on a generic EC2 Linux instance then install WP multi-site. However, I tend to like Bitnami's application solutions. The structure they implement, although often annoying, provides better security than I want to spend time implementing if starting from scratch. This AMI would probably be getting 4 and 5 star reviews if users ran WordPress by itself. But who does that? There are virtually always 3rd party themes and plugins involved. When I reverted to an older version, mentioned above, I was working with a site I inherited that depended on numerous (an understatement) plugins of questionable quality. There wasn't time or money available to debug so much code to resolve PHP 7 issues. The site contains code that is so poorly written that it won't run on PHP 5.6 either when debug is turned on; so many notices and warnings are generated that the page output cannot be rendered in a browser. Granted, debug should NOT be on in a production environment but, the ability to enable it in a dev environment would be nice. PHP 7 has been a long time in the making. WordPress core developers have been preparing for it and WP runs fine, and much faster, by itself with this AMI but frequently themes and/or plugins do not because they were developed using PHP 5.6, or older, and are often poorly written to begin with. Theme/plugin developers state what version of WP they have tested against but usually don't mention, or even consider, whether PHP 7 is supported. This used be a near-perfect AMI but has completely stopped working on AWS. Hopefully Bitnami can fix this but it's been broken for some time. As reported by reviewers for over 2 months, this AMI is worthless. Follow their instructions and you'll end up not being able to login to your WP instance. Worst experience ever. No multisite. No networking configuration. Unsecured MySql installation. In any case this is an install-and-go image. Bitnami is the worst software images provider ever seen. It has been impossible to set up this image. and cookies are not enabled to accessible, so, wordpress disallows login. > ERROR: Cookies are blocked or not supported by your browser. You must enable cookies to use WordPress. Edited wp-config, still no solution. Non-multisite instance by Bitnami works ok.
Great service, great value, thanks to AWS, WordPress, and Bitnami. Very user friendly installation. Just to remind everyone that Route53 will cause 0,51 for mapping a sub-domain (creating zone) on your test "free tier" Wordprise multisite. It is a very good product is already configured and optimized by Bitnami team. Installation is quick and effective. 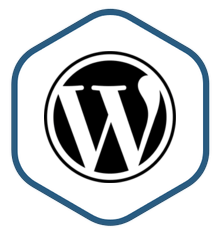 With a few clicks to get a wordpress first-line server! Nice and easy setup, great documentation and overall a great reason to keep using Wordpress and AWS. The Bitnami community around the product is also extremely helpful to get your questions answered.